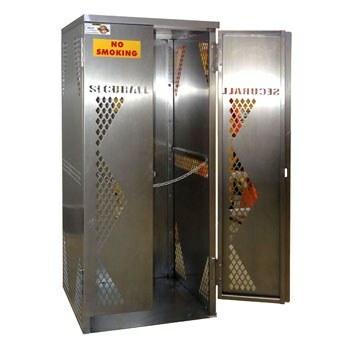 SECURALL 5 to 10 Oxygen Cylinder Storage Steel Cabinets resist sparks, tampering, and weathering. These painted steel cabinets provide years of outdoor Oxygen Cylinder storage. Complies with current OSHA regulations.